Above - The Playhouse Theatre, Edinburgh during the run of 'Beauty and the Beast' in February 2003 - Photo M.L. 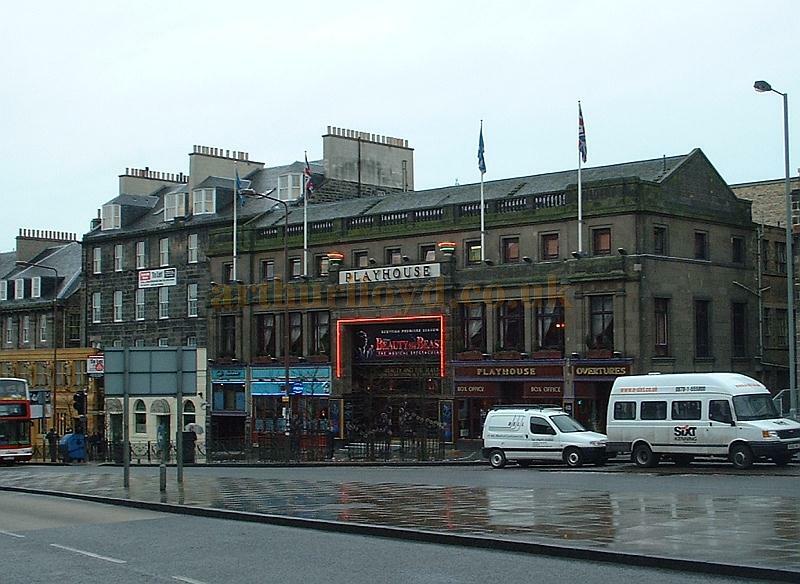 The Playhouse Theatre in Greenside Place, Edinburgh was built for the Playhouse Edinburgh Ltd as a Super Cinema with stage facilities, and was designed by the Glasgow architect John Fairweather. In 1927 the sports promoter and outfitter Fred Lumley (shown right), who was also a director of the Pavilion Theatre, Glasgow, announced he would build a super-sized playhouse in Edinburgh which could be a cinema and a theatre, depending on how trends moved. After visiting the USA he decided to make it a talkie cinema from the start, but it would still have a fly tower, stage and dressing rooms. 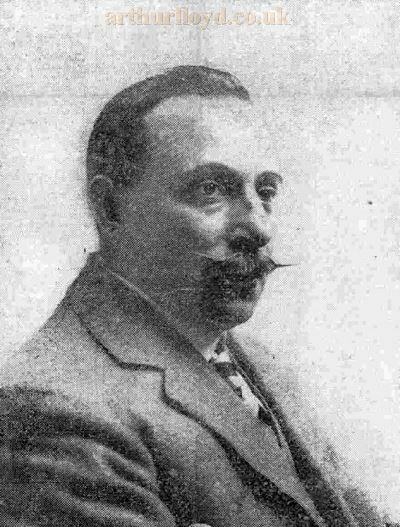 In 1928 the Playhouse Edinburgh Ltd was formed and he was joined by sportsman John Maguire, a fellow director of Lumley's Palace Cinema, 10-20 Princes Street. The Playhouse, designed by Glasgow architect John Fairweather, opened in 1929 at Greenside Place, at the top of Leith Walk. 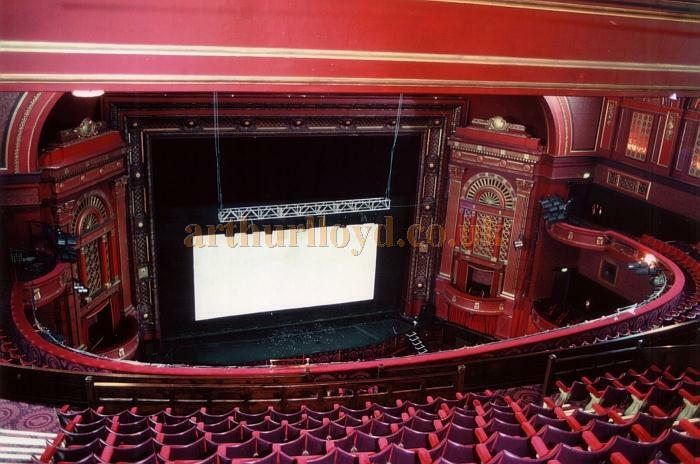 Two photographs of its cinema interior can be seen here. The Theatre was built on a vast scale with an auditorium of three levels, Stalls and two Balconies, of which the Balconies alone could accommodate over a thousand people each. Altogether the Theatre could seat 3,056. 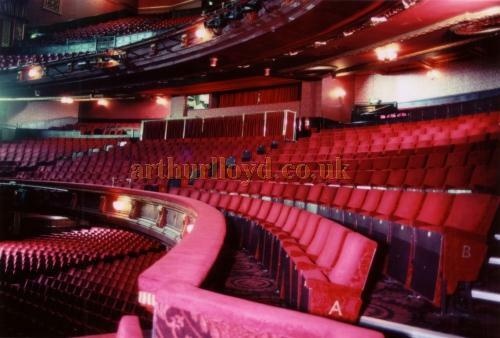 Right - The auditorium of the Edinburgh Playhouse in 1999 - Courtesy Ted Bottle. The Playhouse was built in 1929 and opened on Monday the 12th of August that year, and although it was designed to be able to stage live performances it actually opened with a film called 'The Doctor's Secret.' The Playhouse was heavily influenced by the American Super Cinemas of the time, especially the Roxy Theatre in New York. Above - The auditorium of the Edinburgh Playhouse in 1999 - Courtesy Ted Bottle. The Playhouse ran as a Cinema for 4 decades but closed down on the 24th of November 1973 and was put up for sale. Worryingly it was then bought by a property developer and its future looked bleak when they put in a planning request to build an office block on the site. Planning permission for this was eventually turned down however, but demolition still seemed imminent. However, in the background two former employees of the Theatre, Gordon Lucas and Larry McGuire, were setting up an action group called the Playhouse Preservation Action Group and started a campaign to stop the demolition and preserve the Theatre for the future. They gained 15,000 signatures on their petition to save the building and were successful when the Secretary of State put a Class B Preservation Order on the Theatre. Following this, in 1975 the Edinburgh Playhouse Society was set up to try and get the Theatre returned to live use, ideally with Opera and Ballet. They started another petition and gained another 13,500 signatures, clearly the local population had a great love of this Theatre and wanted to see it back in use again. Despite all this it still took 4 years for its future to be turned around but eventually Lothian Regional Council bought the building and refurbished and reopened it on June the 1st 1980 with a charity Gala show in aid of the Variety Club of Great Britain. 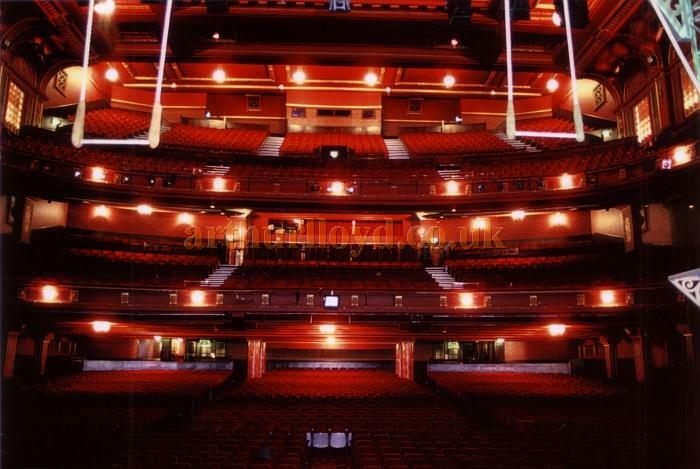 Despite several owners since then the Playhouse has survived and is now regularly home to the largest of London's West End productions which tour around the provinces. The Theatre was bought by The Ambassador Theatre Group in November 2009, you may like to visit the Theatre's own website here. 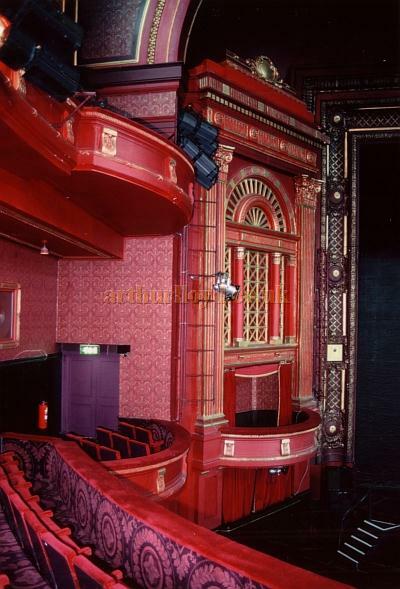 Above - The Stage and auditorium of the Edinburgh Playhouse in 1999 - Courtesy Ted Bottle. Some of the information on this page was kindly sent in by Graeme Smith.